A few years ago, we discovered green spelt. The unripe harvested spelt has an old fashioned reputation. 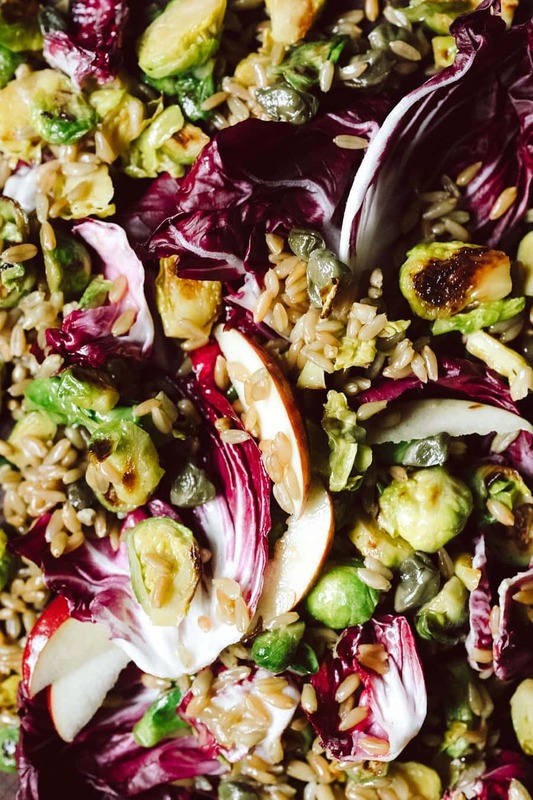 But green spelt has a very aromatic, nutty flavour which makes it a wonderful side dish, adding to a soup, or a main ingredient of our salad. Green spelt is also very digestible, and the most nutritious of the grains. B-vitamins, minerals, iron and a high amount of protein make it an important part of our diet. Cook the green spelt with water and salt. Lower the temperature and let the green spelt simmer covered for 15 minutes. Take the pot from the stove and let the green spelt soak for 20 more minutes. Halve the Brussels sprouts. Heat some sunflower oil in a pan and roast the sprouts and the capers for about 5 minutes, until the vegetables are ready. Stir from time to time. Core the apple and thinly slice it. 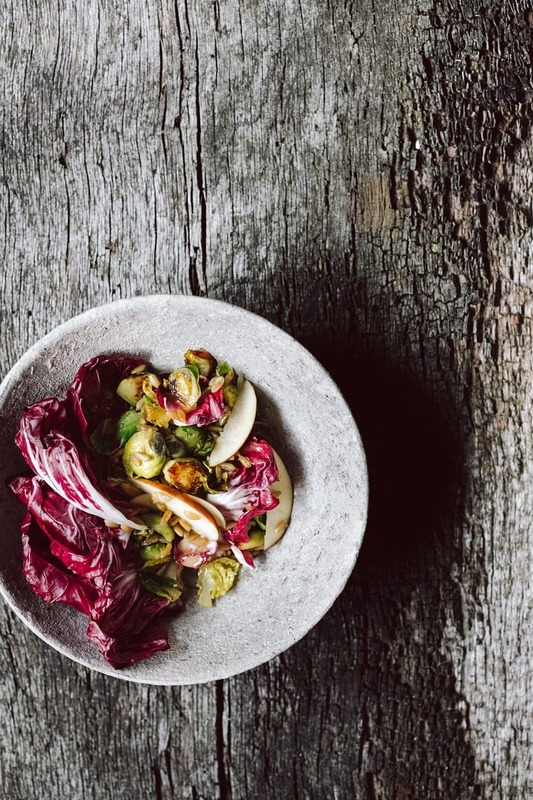 Pluck the radicchio into bite-size pieces. 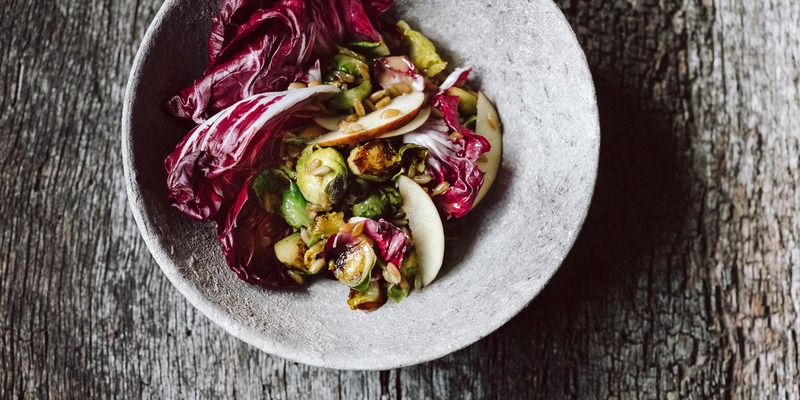 For the dressing, mix all ingredients until they are creamy, and mix with the green spelt, Brussels sprouts, apple slices and radicchio. The salad can be eaten lukewarm as well as cold. Oh ja , da muss ich euch recht geben. GRÜNKERN IST AUCH MEIN FAVORIT!